It also treats bladder and parasitic infections. And now, the evidence confirms it can heal cancer too! Two bioengineering researchers at the University of Washington have used artemisia extracts successfully to target breast cancer cells. A study found that individuals have experienced as great as a 28% tumor shrinkage within 16 hours of treatment with artemisinin alone. And if used in combination with iron, the effects can be even better. Its anti-inflammatory properties make it a popular herb in alternate treatments for arthritis and other pains throughout the body. Artemisinin contains special compounds that relax your muscles and nerves, makes it a good tool to treat anxiety, stress and promote a good sleep. Prescription drugs derived from artemisinin are able to treat malaria and till now no major side effects have been found. Artemisinin can also be used externally for wounds, insect bites and other skin problems. 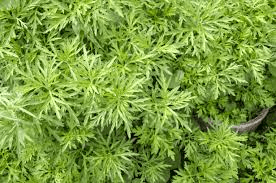 This entry was posted in Alternative Medicine, E Patient Health Care, Herbs, Human Behavior, Introducing, Lifestyle Health, Longevity, Medical Studies, Vitamins - Supplements and tagged A Popular Chinese Herb Artemisinin, anti-inflammatory, Artemisia, E-Patient Health Care, External Uses, for Cancer, Malaria and Prevents Infections, Malaria Treatment, mental health by Admin. Bookmark the permalink.